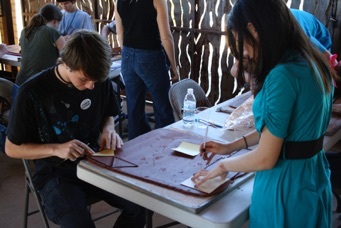 Farraday hosted a one-day workshop at Indigo Street Pottery for a dozen teens participating in SMoCA’s Visions Teen Program. These kids were great, listening carefully, asking good questions and working hard on their clay projects! They learned how to build a slab box with a peaked roof, and with fancy-cut feet and lid line. 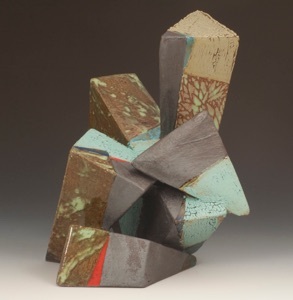 The best thing was their wonderful enthusiasm for art ideas and for art objects. SMoCA's Visions program, now in its twelfth year, brings together approximately 40 high-school art students from diverse Phoenix metropolitan-area high schools for a year-long series of activities designed to cultivate artistic skills, collaboration and civic engagement. 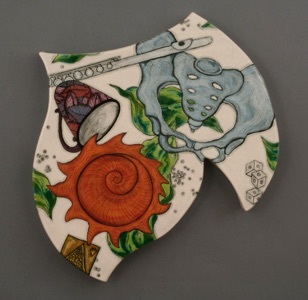 The program was founded in 1999 and is based on a strong community partnership between the Museum and participating schools, which represent economically, ethnically and culturally diverse communities. 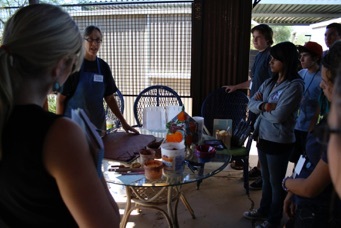 And of course they visited our new kitchen garden as part of the Indigo Street Pottery studio tour! 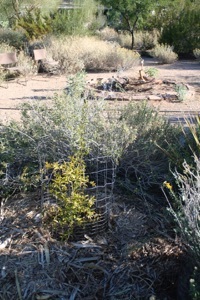 So we were thrilled to learn that many of these trees of historic, documented stock have been successfully propagated over the past seven years and are now available to the public at Desert Survivors Nursery, who has partnered with the Arizona-Sonora Desert Museum on this project. 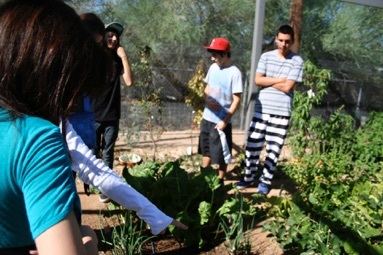 Desert Survivors Nursery, located in Tucson, Arizona, is a nonprofit organization that combines appreciation and preservation of the Sonoran Desert with innovative services to enhance the lives of people with disabilities. Learn more about DSN at http://www.desertsurvivors.org. Native Seeds Search, also of Tucson, is a third partner in the Kino Heritage Fruit Tree project, providing a secondary germplasm bank for some of the trees. Their website is http://www.nativeseeds.org/Home. By growing these trees on our land, we are gratified to now be part of this wonderful ethnobotanical Sonoran heritage conservation project. 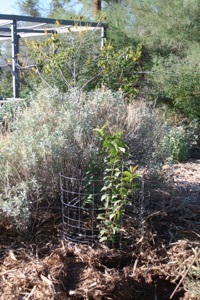 Here are some photos of trees we bought and planted in our new home orchard. 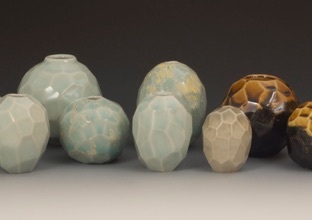 We will have beautiful work in a wide price range, with plenty under $50 and on up to collector range. We are delighted that you make time to visit and give us a chance to catch up with how you’ve been this past year. 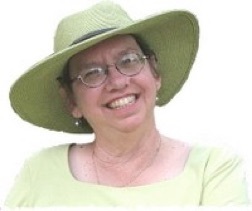 We are also very pleased to once again have author Mary Irish, www.maryirish.com , renowned Southwest gardening expert and author, here for book signing, book and calendar sales, and conversation! She will be here Saturday December 4, 10am-2pm. As always, there will be plenty of our Birds on a Wire that we both make! 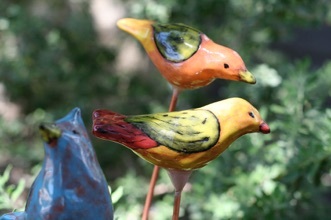 These are glazed terra cotta and stoneware birds epoxied to solid copper wire & meant for putting in the yard or a planter or whatever you dream up! 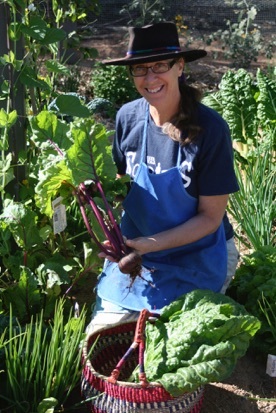 Here’s Farraday in our kitchen garden picking a beet! 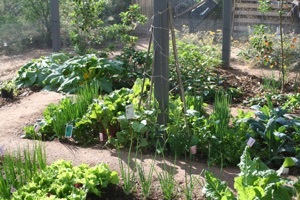 The garden is now chock full of winter vegetables like collards, kale, swiss chard, lettuces, peas, carrots, beets, onions, etc. All our compost-making and soil-building this past summer is paying off! We had this garden structure built earlier this year by local builder Eddy Basko ebasko@hotmail.com. It has done just what we hoped for - it has kept out the voracious desert ground squirrels, rabbits and birds, yet has been fully visited and pollinated by native and European bees. 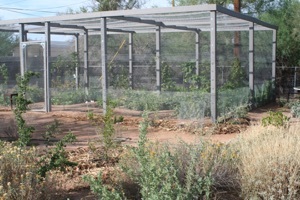 It has also been accessible and welcoming to beneficial predators like wasps, spiders and lizards. We love it!! 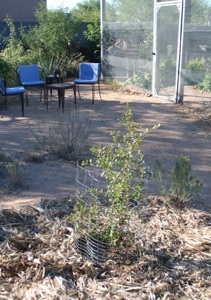 Kino Heritage fruit trees freshly planted in our new orchard! 1. Ruby Pomegranate - This tree was propagated from stock found at a perennial spring near the ghost town of Ruby, Arizona, near the Mexican border. 2. Red Guava - Propagated from 300-year-old stock found at Kino-era Mission Comondu orchard, Baja California, Mexico. 3. Josefina Pomegranate - A white pomegranate from old Tucson.